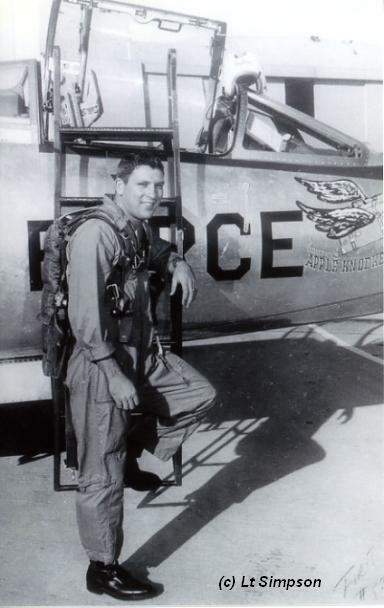 Lt Simpson is seen here prior a test mission in 55-2955. 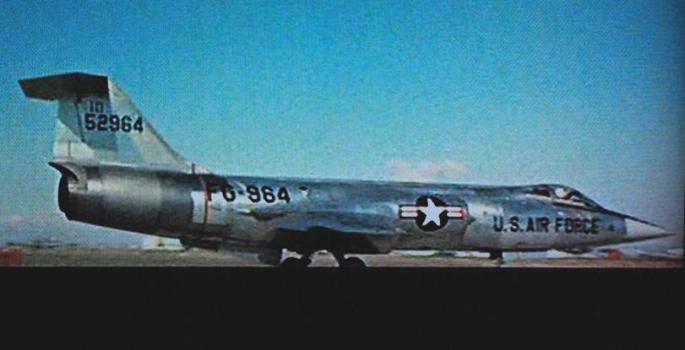 Here it is clearly seen that this aircraft got nickname "Apple Knocker" around January 1957. 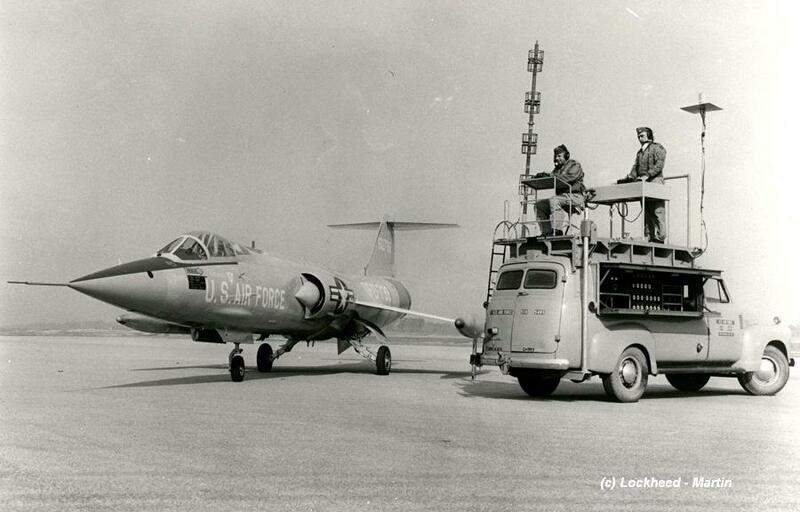 On 25th of April 1957 the career of this first YF-104A ended. A failed landing resulted in a complete write-off, gladly without any casualties. On the nose its nickname "Apple Knocker" can still be noticed. 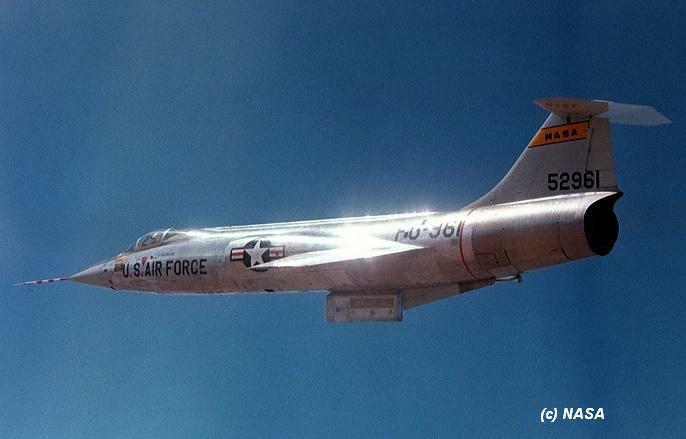 A photo taken in 1956 during one of the first testflights. 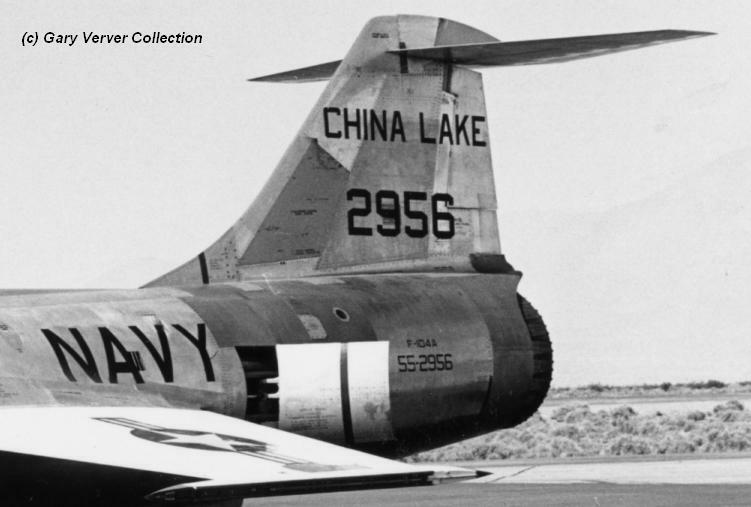 Note the typical XF-104 introduced Lockheed stickers on the front and back of the aircraft. A photo taken in 1956 during one of the first testperiod. 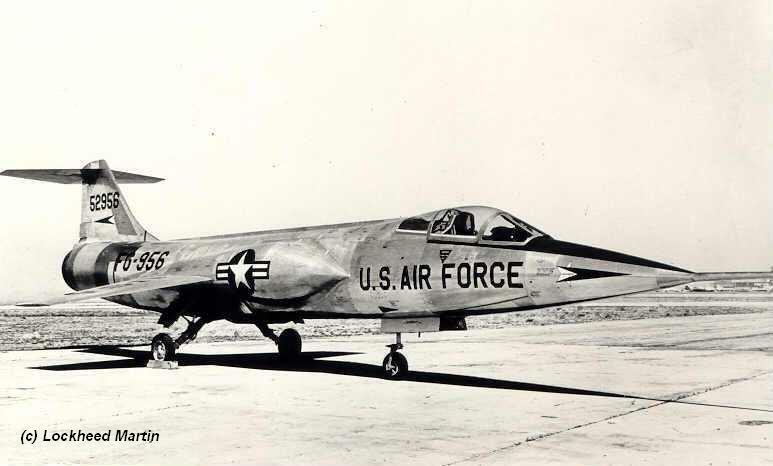 Note the typical XF-104 introduced Lockheed stickers on the front and back of the aircraft. 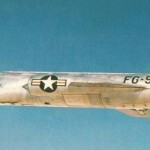 The 55-2956 was used for tests at Edwards with AFFTC for more then 2 years. Here it is still lacking the arrestor hook and ventral fin. 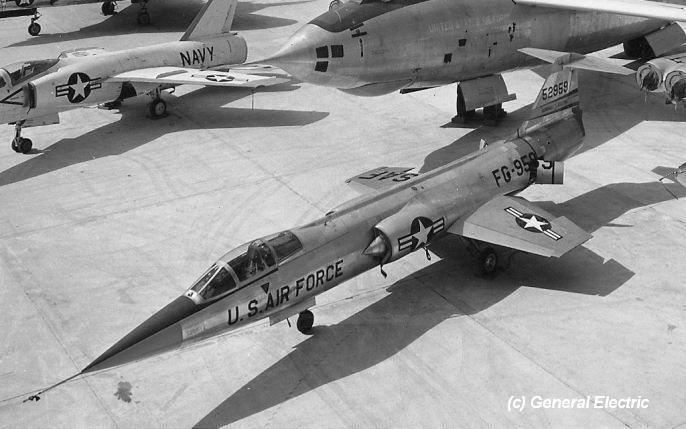 YF-104A 55-2956 hiding its technical secret during the first press-photos. Large cones have been added over the inlets and gives the aircraft a very strange look. Photo was taken in April 1956. 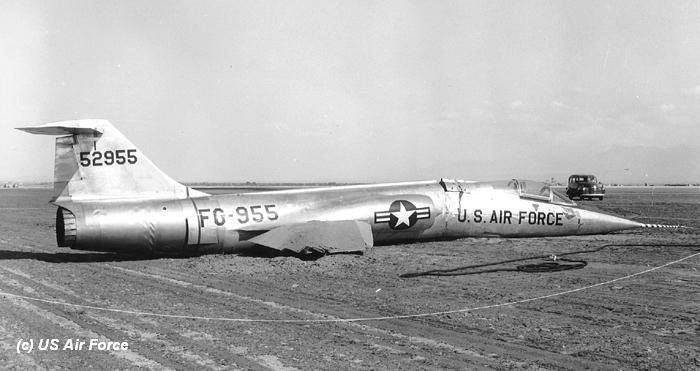 Here the aircraft with fake cones towed out of the big Lockheed hangar on 17 April 1956. This day the aircraft was shown to the public for the very first time. Here a shot of the tailsection of this 55-2956. 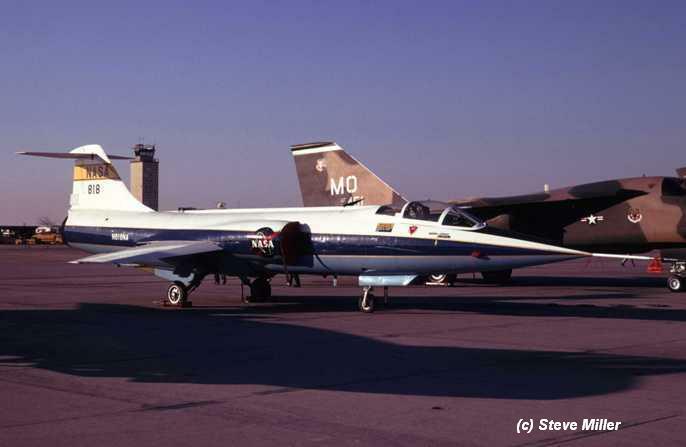 It shows the type "F-104A" although officially the aircraft had been configured as JF-104A testbed. 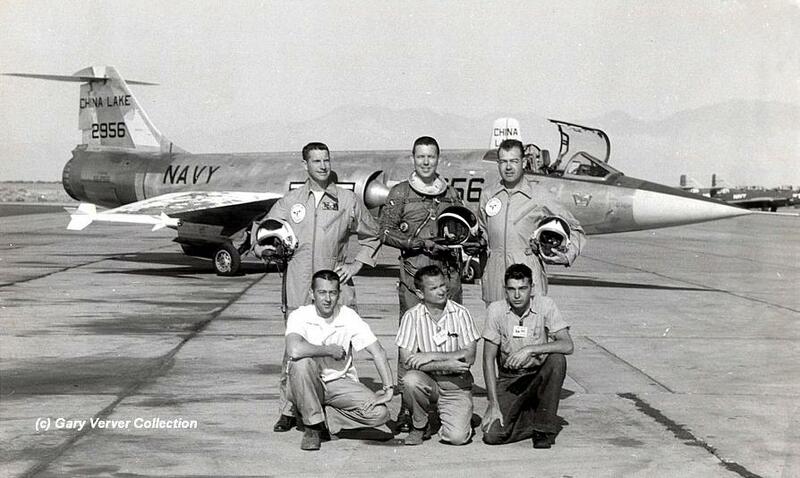 Very unique photo of the 55-2956 at China Lake NAS after it was declared w/o during a crash during the take off at China Lake. (Photo courtesy of Larry Raybal, thanks to Gary Verver). 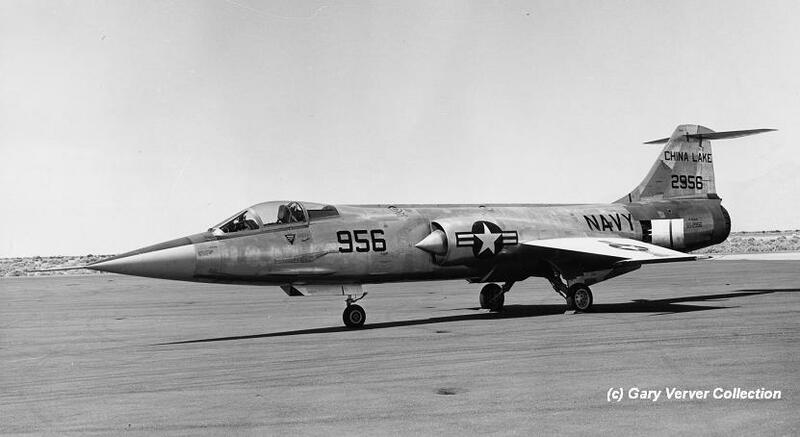 Here YF-104A can be seen taxying towards the runway in 1956. 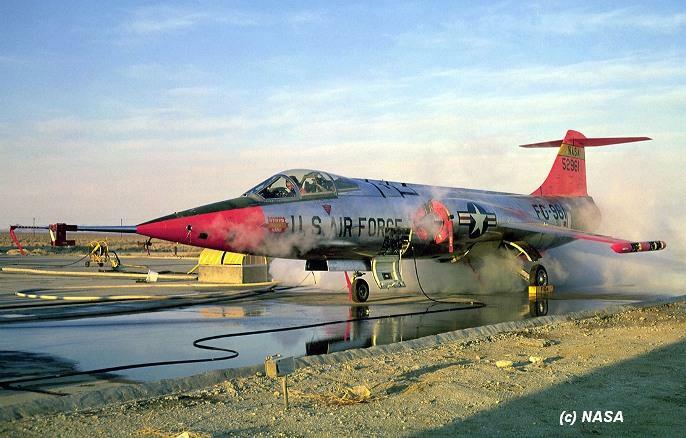 It shows also the factory production code nr "3" being the 3rd produced YF-104A. Here the 55-2957 is seen taking off for its record flight on 7 March 1958. It shows the markings of 83 FiS. 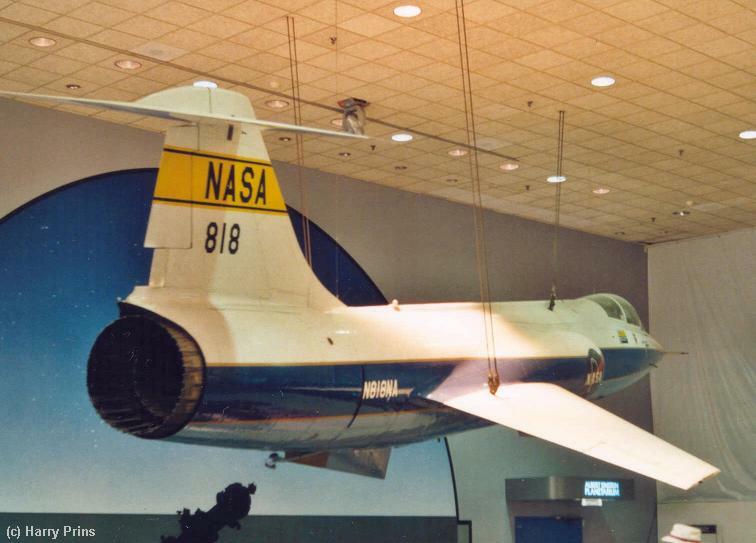 On 7 March 1958 Major Howard C. Johnson managed to break the altitude record by reaching 91243 feet. 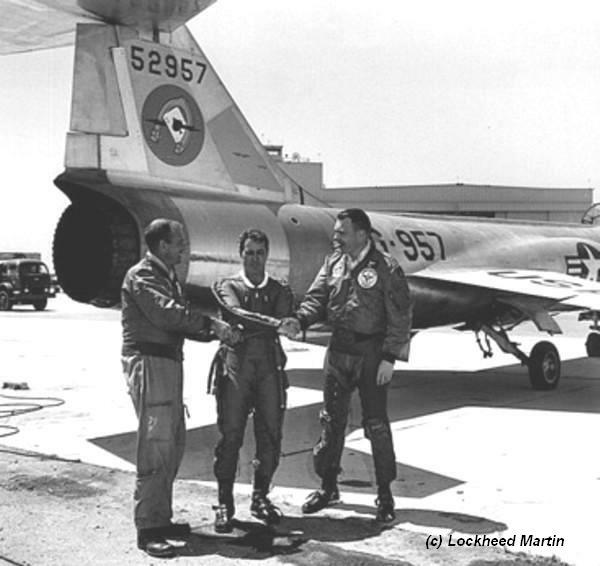 On this photo he is celebrating his record with (left) Capt Walter Irwin and (right) Capt James Low. 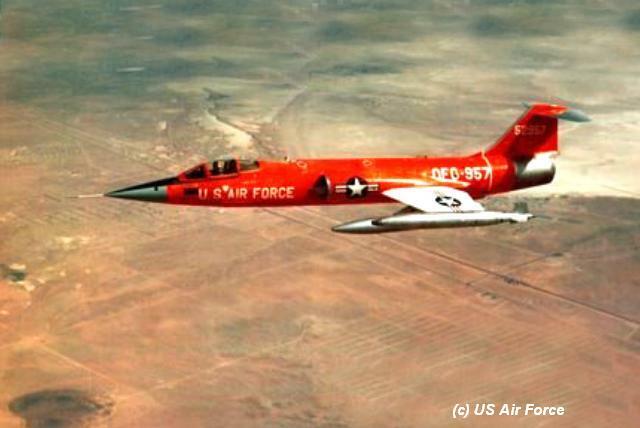 Early 1963 the aircraft was modified to JQF-104A to test the remote control system. 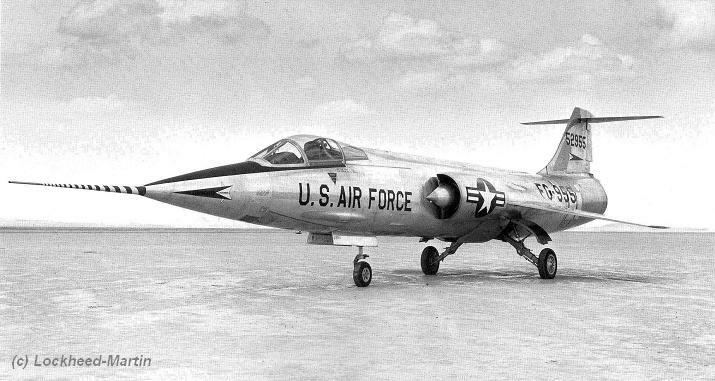 This 55-2957 was the first Starfighter flying unmanned. On this photo the aircraft is seen during one of its first missions. Note the remote control unit. 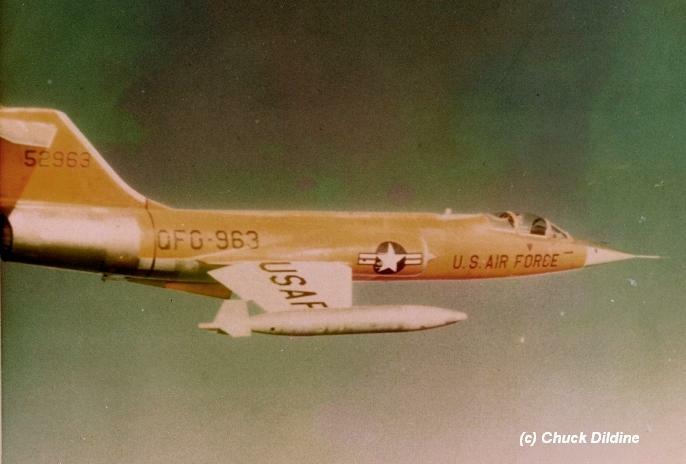 On this photo the typical QF-104A dayglow colorscheme can be seen. Later aircraft got black serials in stead of the white ones on this 55-2957. 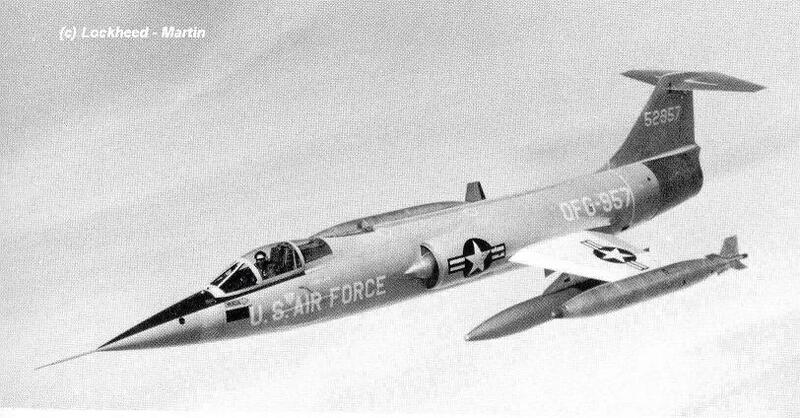 Photos of YF-104A 55-2958 are very rare. 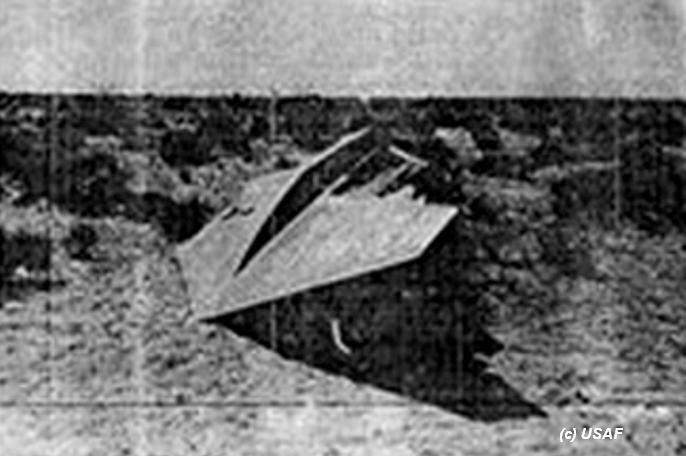 On February 8th, 1957 this aircraft was officially modified to JF-104A by Lockheed AF Plant 14 and seven days later it crashed still as JF. Here it is seen not long after delivery, with a huge test pilot tube. 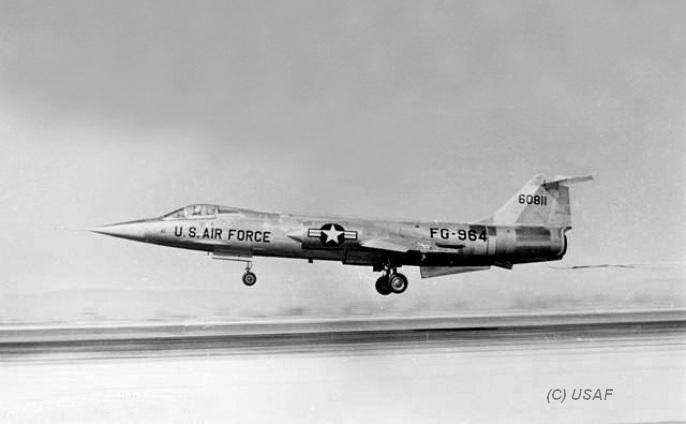 On this official USAF photo which was released early 60s the YF-104A 55-2959 is seen while taking off from Edwards AFB. 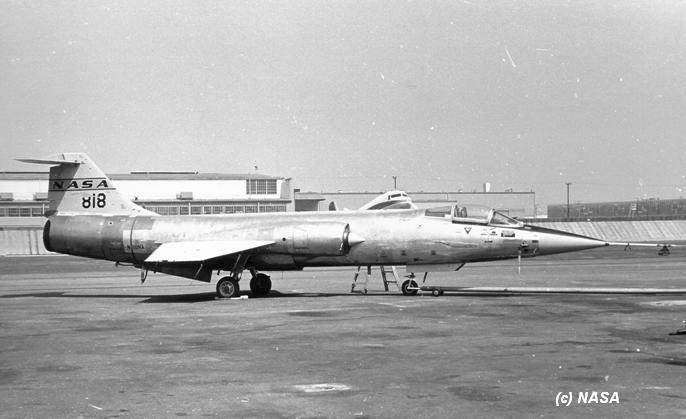 Note the initial shaped nosewheel doors and the lacking ventral fin and arrestor hook. Also the typical yellow "General Electric" band can be seen which was applied on the tail. 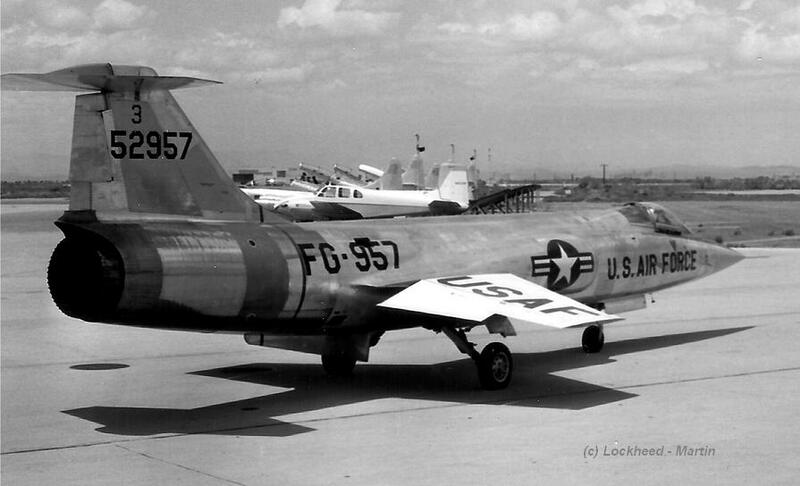 This is the only known photo of YF-104A 55-2962, taken at Edwards around late 1956. (Photo Lockheed-Martin thanks to Neil Corbett). 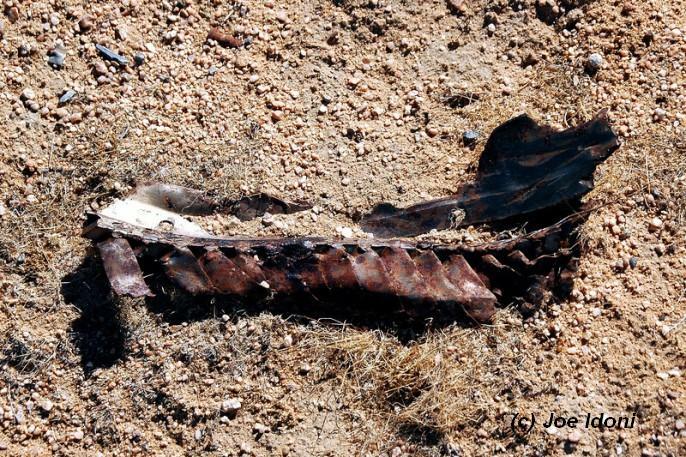 This photo shows a part of the J79 engine of this unfortunate YF-104A 55-2962 which was found during a crash site investigation on 10 May 2007 by Joe Idoni and his friends. For more information see also his website http://joeidoni.smugmug.com/gallery/3622127_A4YoX#!i=254302612&k=kgBMtjW. 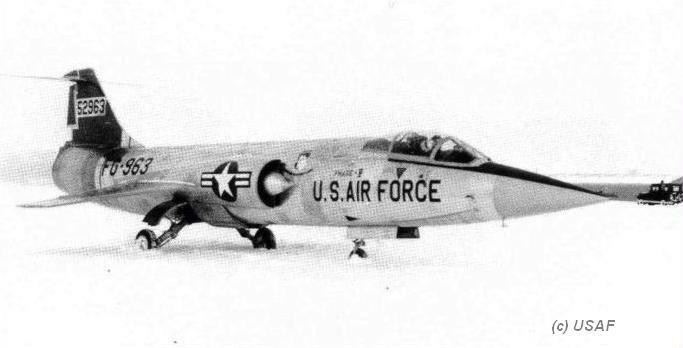 In 1956 the YF-104A 55-2963 was transferred to Elmendorf AFB for testing the aircraft in very cold circumstances. 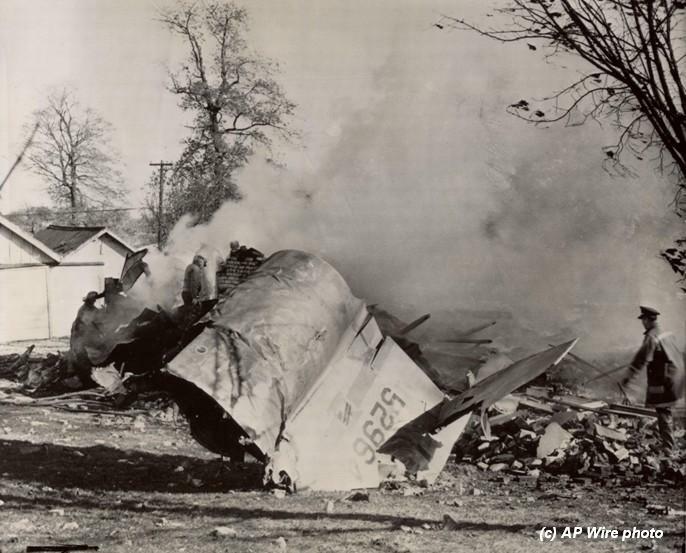 The test program was coordinated under control of the AFFTC and Lockheed. Here the aircraft is seen taxying on taxy roads filled with snow. 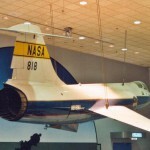 The aircraft is still lacking the later added ventral fin and arrester-hook installation. 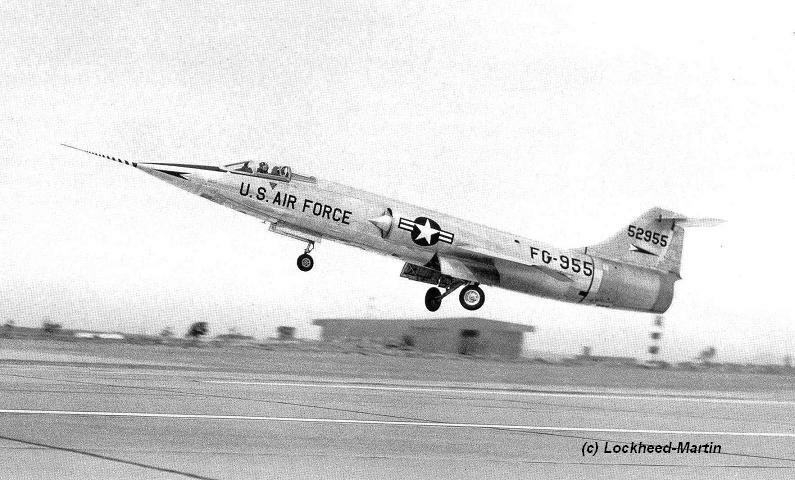 Interesting photo showing YF-104A with already a ventral fin mounted during a testflight at Edwards AFB. It is probably testing the dragchute system since pulling the chute while still 60 feet of the ground was not a normal procedure. 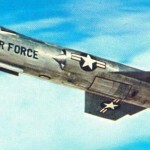 Also note that the aircraft is having the tailsection mounted from F-104A 56-811. Switching tail was often done with Starfighters, also in the early days. We believe that this photo should have been taken in 1958. 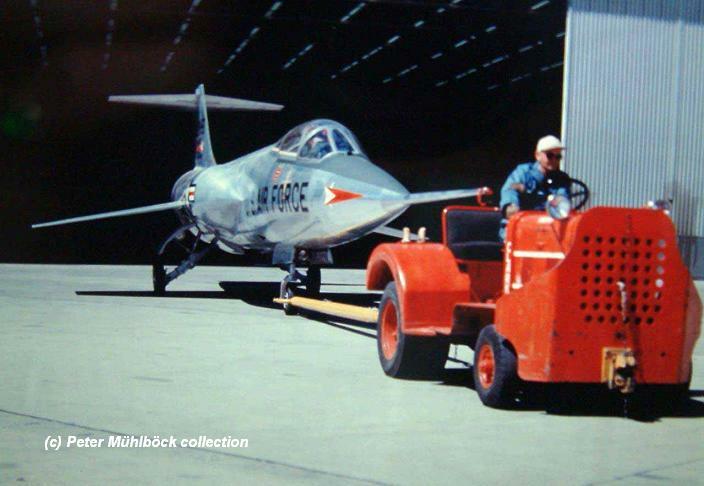 In the famous movie "X-15" which was recorded at Edwards AFB and released in 1961, also this YF-104A was seen taxying on the runway of Edwards. It is carrying production number "10" on the tail fin.